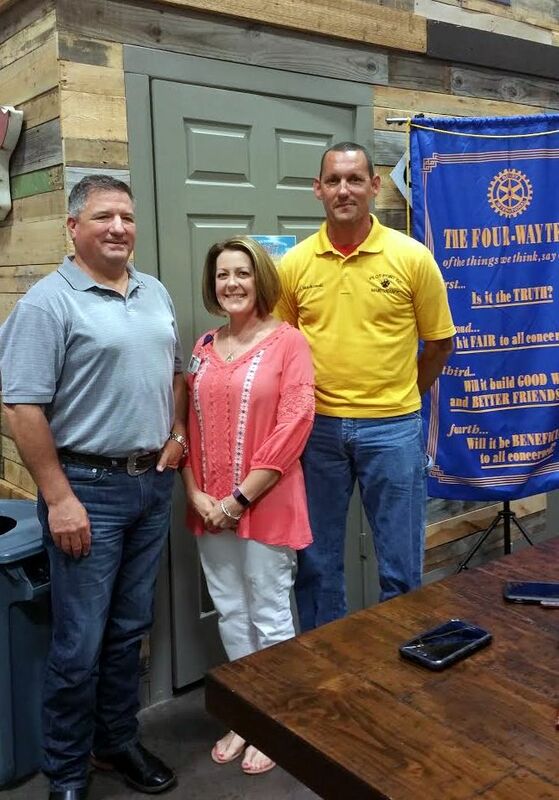 This year the Lake Ray Roberts Rotary Club has been honoring the Pilot Point ISD Teacher/Staff of the month. Each month the Pilot Point ISD selects Teachers or Staff that have gone above and beyond to assist the school district in its pursuit of excellence. The Rotary Club is now honoring those selected with a meal and certificate. For the month of May, the teachers/staff of the month were Darla Wooten, instructional literacy coach at Pilot Point Intermediate School and Jason Mundkowski, with PPISD Maintenance. Congratulations! We appreciate your work in the Pilot Point schools.